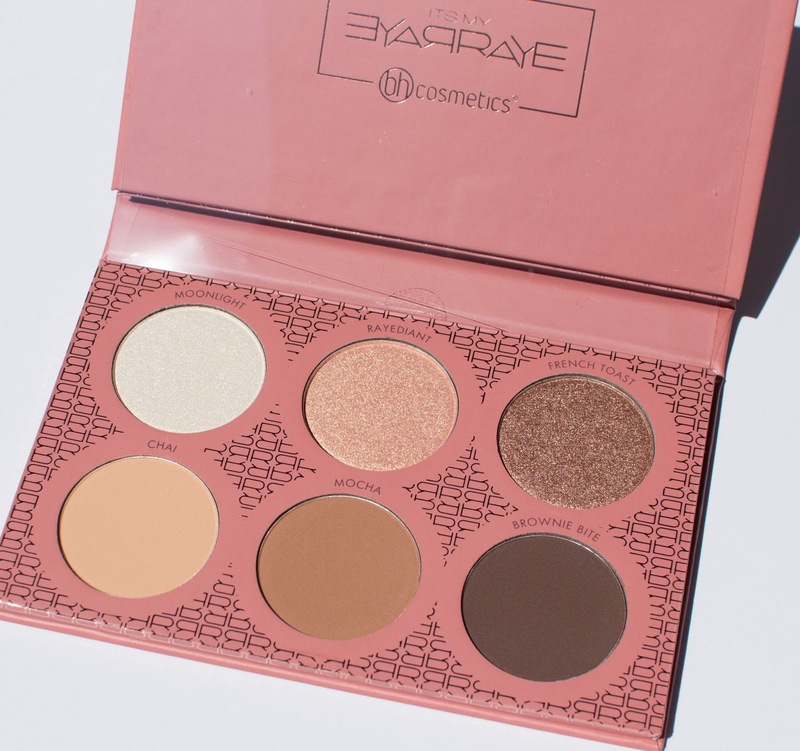 Today I have a review of the BH Cosmetics x ItsMyRayeRaye Palette. This palette isn't a new release, launching about a year ago but I wasn't really tempted until I saw Nisipisa do a travel makeup look with this palette. After that, I saw it on sale at my local ULTA for 50% off so I figured it was a sign to try it. I've only owned one BH Cosmetics palette before (their Foil Eyes palette) and none of the mattes so I wasn't sure what to expect. 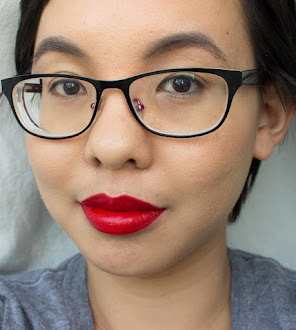 Click through to read my thoughts, see swatches, and more photos! Packaging: The palette packaging isn't very sleek. 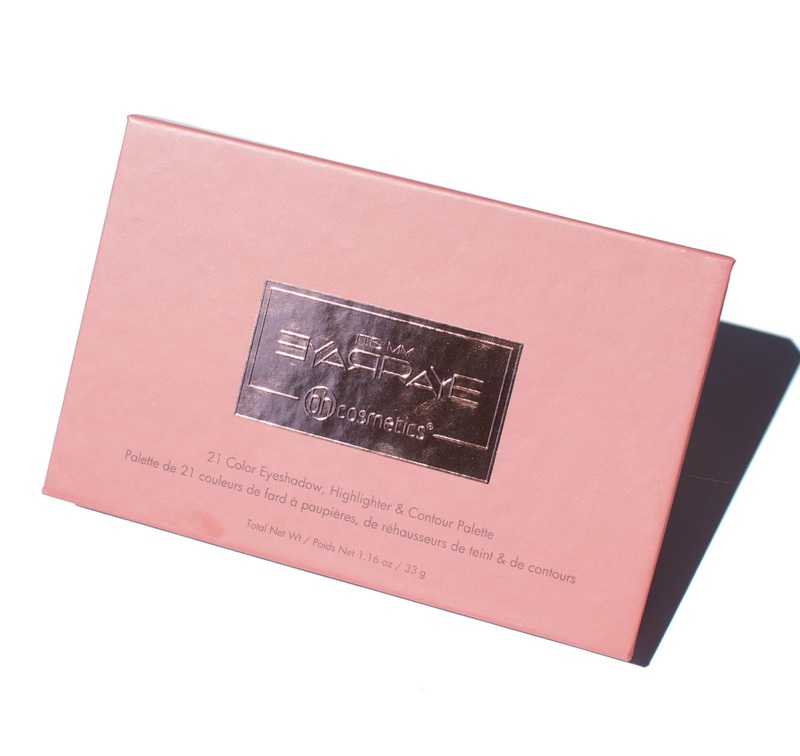 It's a trifold palette that unwraps to reveal the highlight and contour powders first then the eyeshadows. You can see it better in the photo above. Thankfully though there is a useable mirror if you wanted to use it on the go (but it still feels rather bulky). I love the colors in the palette because the layout makes so much sense to me. The first row are the neutrals, colors you can wear by themselves or to make the framework for other looks. The second row are the pops, colors that complement the neutrals and can be used to add brightness. The last row are the metallic colors to add shine to your look. There are three contour shades and three highlighter shades, though one of the "contour" shades is light enough to be a highlighter itself. The colors are pigmented, a little soft so it can kick up some powder but not chalky in the slightest. The shimmery eyeshadows remind me of Morphe eyeshadows, that wet feeling creamy texture thanks to the mineral oil which make them apply better with fingers than with brushes. No doubt I love the colors in the palette but my first impression did not go well. In the beginning, it was wearing rather inconsistently even with primer. I suspect the hot humid weather was contributing to the issues but after the first few times it began to wear perfectly fine on me, lasting 8+ hours of wear before it started creasing. I don't wear the contour powders on my face because I think they're a little too pigmented and I find it more difficult to blend out. Instead they work wonderfully as eyeshadows and some shades are similar enough to the smaller eyeshadows anyway. I especially adore the top left beige shade as an all over color and it's not chalky like you might expect a light beige to be. 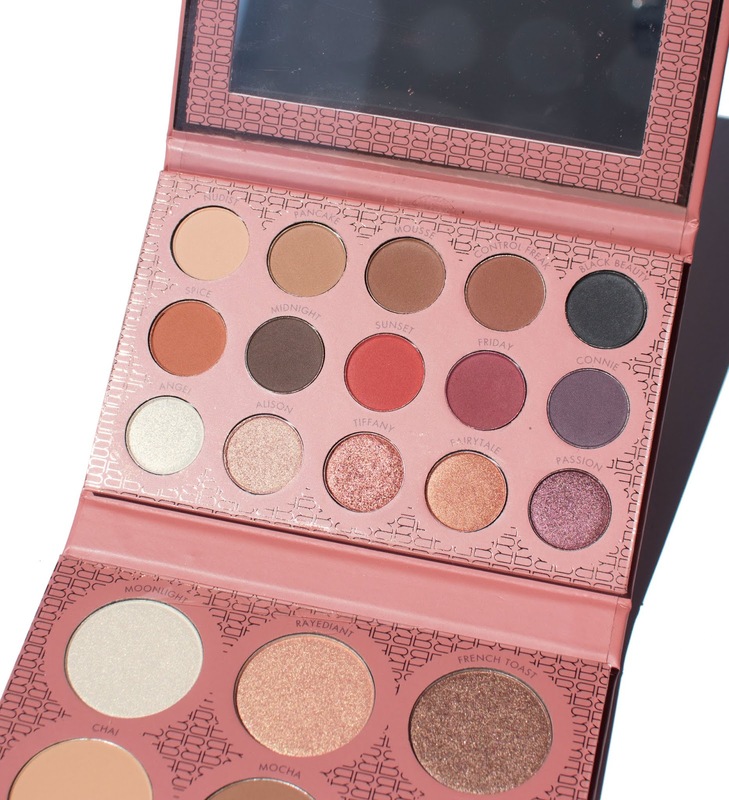 All in all, a great collaboration palette from BH Cosmetics! I love the depth of the colors included and it's definitely an underrated eyeshadow palette. The eyeshadows were applied dry using a brush over eyeshadow primer. The first three rows are the eyeshadows swatched. The last row are the highlight/contours swatched together. 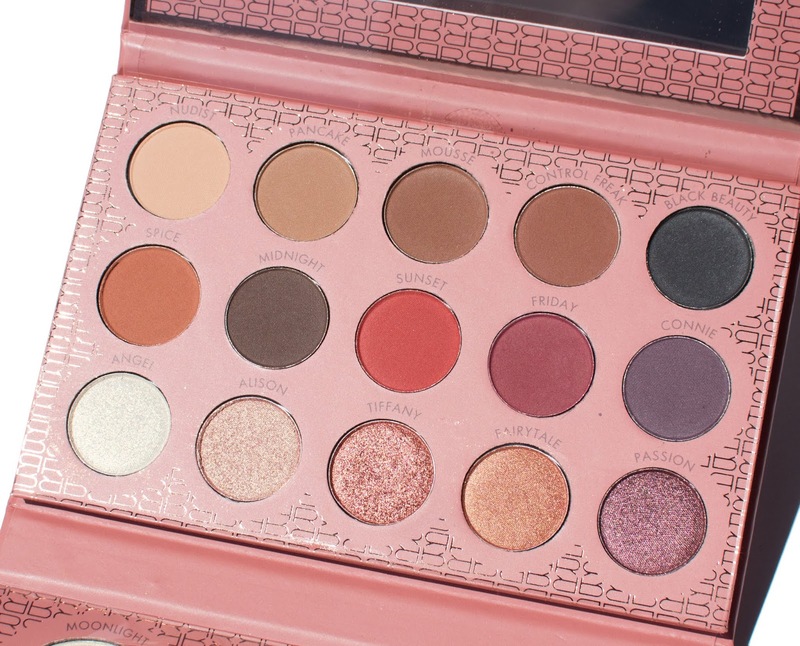 I can see this palette being a good starter palette or if you're looking for some staple shades. You have your neutral "basic" shades that you can start a look with and the brighter middle shades and shimmery shades to add depth. I'll admit the packaging leaves a lot to be desired but it's not so terrible that it prevents me from using it. This has easily become one of my favorite everyday palettes and needs more appreciation. What eyeshadow palette have you been using lately? Disclaimer: I purchased this palette myself. All opinions are my own. I was not compensated for this post. This post contains affiliate links which provide me with a commission based off your use of the link. 50% off? Looks like you got a steal for all this. I love the swatches of these very wearable looking shades. I agree, that the shades are laid out so well. Very very nice! I’ve been using urban decay heat as my everyday palette lately. I love that one! Thank you for the awesome swatches! The palette overall is a big win for me! I could see actually wearing all of those shades! 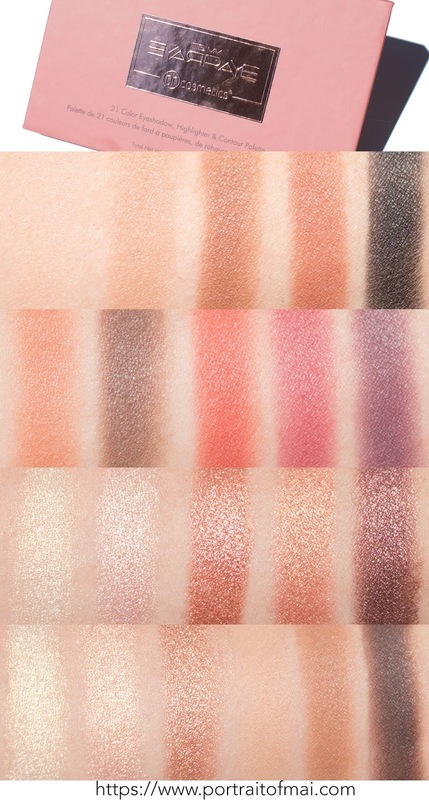 I love the shimmer shades but most of the mattes would be too warm for my skin. It's great that you got it for 50% off and better that you like it so much. I like the highlights and contours - that's a very complete set of cheek contours! 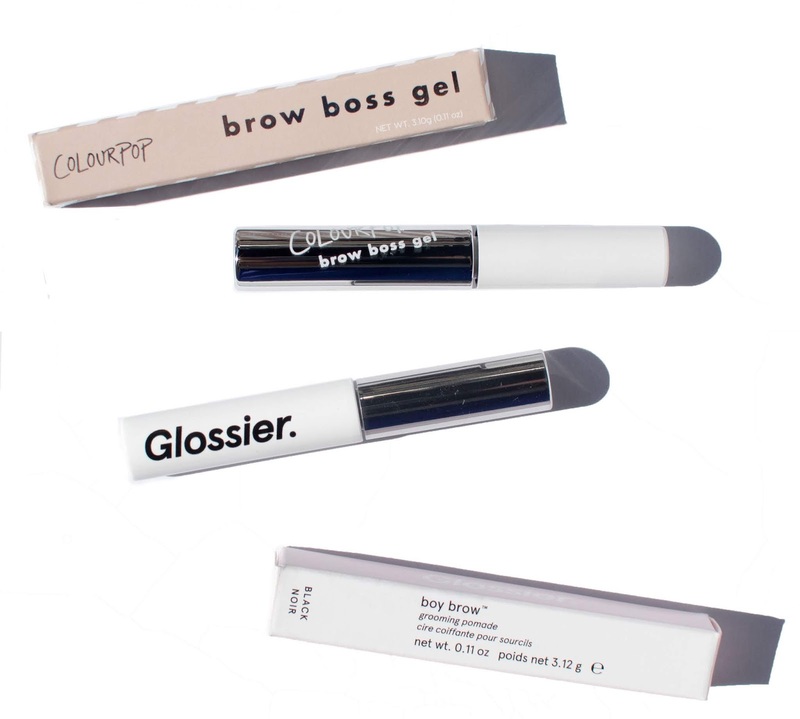 While I have most of the UD palettes, I've primarily been using Glossier Lidstar shades because they are so easy to put on and look effortless. Too bad this palette is bulky and not your favorite, it has nice shades. This is a very pretty palette and swatches beautifully it looks like. I don't own any BH Cosmetics products but I may have to pick this up as my first! I love this palette! It is perfect for traveling because you have three products in one convenient palette plus a mirror. I bought a back up because I am obsessed with the highlighters!